The Small Business Health Options Program (SHOP) Marketplace helps small businesses provide health coverage to their employees. The SHOP Marketplace is open to employers with 50 or fewer full-time equivalent employees (FTEs), including non-profit organizations. You can enroll in SHOP at any point throughout the year. The SHOP Marketplace allows you to offer health and dental coverage that meets the needs of your business and your employees. SHOP offers flexibility, choice, and the convenience of online application and account management. For 2015 coverage and beyond, you apply for SHOP, choose a plan or plans, complete your coverage offering, manage employee participation, and pay your premiums online. Your employees enroll online too. You control the coverage you offer and how much you pay toward employee premiums. You choose whether to offer dependent coverage (some states require it) and dental insurance. You choose how long your employees’ Open Enrollment Period is, and the waiting period before new employees can enroll. You can enroll in SHOP any month, any time of year. There’s no restricted enrollment period when you can start offering a SHOP plan. 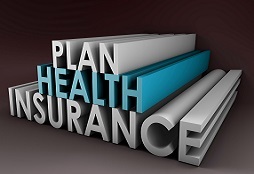 In all states, you can offer one health plan to your employees. In some states, you can choose a coverage category, like Bronze or Silver, and let your employees choose any plan at in that category. If you enroll in SHOP coverage and have fewer than 25 employees, you may qualify for a Small Business Health Care Tax Credit worth up to 50% of your premium costs. The tax credit is available only for plans bought through the SHOP Marketplace. Don’t forget we can help you enroll with SHOP plans. Give us a call today.